As we are located in the city where people are spending long hours at their desks, neck pain is by far the most common presenting complaint. Neck tightness often has some very serious side effects as there is a myriad of important nerves which come from the neck area. Headaches are often caused because of pressure on nerves coming from between the upper two vertebrae. Nerves from the mid to lower neck supply muscles across the top of the shoulders, down the arms and down between the shoulder blades. Pressure on these nerves because of neck stiffness will cause pain and tension in these corresponding areas. Chiropractic is extremely effective when it comes to getting to the cause of all these types of problems by restoring normal spine function and removing nerve interference. Chiropractors are spinal specialists and highly qualified to take care of a range of neck and upper back conditions in a gentle, safe, drug free and effective way. 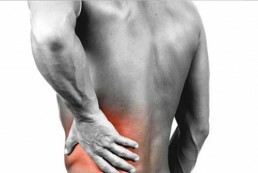 Eighty percent of people will suffer from low back pain at some stage of their life. 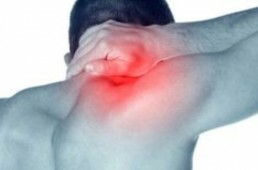 This pain does not only result from major accidents, but can also develop from the general stresses of day-to-day life. While some types of back pain show relief after a few days, the problem invariably returns, usually with much more force. 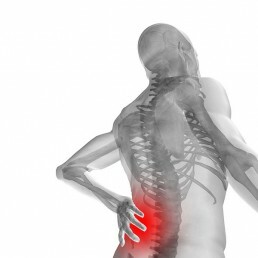 It is important not to ignore low back pain, or assume that it will heal itself. Chiropractic has consistently shown to be effective in relieving low back pain in the long term, by addressing the deeper problems connected to the pain. By releasing tension in the joints and muscles, chiropractic provides a safe, simple and efficient form of therapy for back care. The chiropractors at Sydney City Chiropractic can also recommend a course of exercise and general health maintenance, coupled with chiropractic care to ensure permanent alleviation of back problems. The shoulder allows the greatest range of motion of any joint in the body. However, this great range of motion tends to make us susceptible to several problems. Shoulder sprains, strains and dislocations are very common, and are often caused by sports activities that involve excessive overhead motion like swimming, tennis, throwing and weightlifting. Common symptoms of shoulder damage include aching pain on the side and upper arm, or aching in the top and front of the shoulder. Treatment usually involves soft tissue release, joint mobilisation and adjustments. Shoulder injuries need careful attention as it is not always easy to determine what the cause of the problem is for someone other then a highly trained professional. There is always the possibility that the pain felt in the shoulder could be referred pain or spinal damage felt through connecting nerves. In order to cover all possibilities it would be wise to visit us at Sydney City Chiropractic as we are able to examine all areas to determine where the problem is coming from. Hip pain afflicts many people and is often wrongly thought to be a natural part of the ‘ageing process’. Hip pain can be caused by many things. It may originate from degeneration within the joint, referred pain from the low back, or from chronic tendonitis of the gluteal muscles. Hip pain may also derive from acute inflammatory conditions or from improper movement in the knee and ankle. Making sure your pelvis, low back, hips, knees and ankles are moving well helps alleviate hip pain and may prevent recurrent episodes. We first identify the cause of hip problems. From this point, rehabilitation and stabilisation exercises can be recommended. At Sydney City Chiropractic we use different modalities to increase strength and regain mobility in the hip area and help return patients to their pre-injury level of activity. Do you slouch at the office desk? Do you carry a heavy back pack over one shoulder? Chiropractic can help alleviate the problems that poor posture can cause. At Sydney City Chiropractic we can tell you if you’re slouching is a bad habit or a warning signal. The chiropractors at Sydney City Chiropractic are trained to diagnose any abnormal curvature or loss of flexibility in the spine, and joints or bones that are not moving properly.If there are any problems, our chiropractors can care for them naturally without drugs or surgery. A course of adjustments may be recommended to help your body operate at peak efficiency. Advice on exercise and nutrition may also be recommended. Besides spinal conditions, knee pain is one of the most common ailments of the musculoskeletal system. Problems with the knee may include poor mechanics or overuse of the knee joint, traumatic injuries possibly from sports or falls and problems associated with arthritic changes in the joint. Poor mechanics of the knee is usually the most common cause of non-traumatic pain. Imbalance in other muscle groups that attach to the knee can also lead to pain and dysfunction. The main treatment for mechanical or overuse injuries to the knee is to re-establish proper balance of the muscles, restore movement to the knee cap and other joints and correct any subluxations. When the knee is stretched or twisted beyond the strength of the ligaments that hold the joint together, tearing of these tissues can occur, causing a sprain. Traumatic knee injuries can cause severe pain and swelling and require immediate attention. The chiropractors at Sydney City Chiropractic are highly trained to provide the proper diagnosis and management of these problems. The chiropractors at Sydney City Chiropractic specialise in the non-drug treatment of musculoskeletal problems, including joint sprains and disc injuries. Often, when a muscle or joint is injured, the body naturally compensates, attempting to maintain balance and protect itself by tightening other muscles and joints. To address a problem specifically, the persistent pain in your shoulder could be the result of a direct injury to the shoulder; it could also reflect your body’s compensation for spinal-joint movement restrictions in your neck or upper back. Chiropractic adjustments help to restore the natural balance that was present before the injury. Care of sports injuries at Sydney City Chiropractic includes widely used physical therapies such as ice for swelling and inflammation and heat and muscle stimulation for muscle strains and sprains. These techniques help athletes return to training and perform at their peak level sooner. 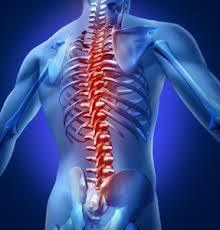 The spine is made up of bones called vertebrae which are separated by discs that act like shock absorbers. At each disc level, a pair of spinal nerves exit from the spinal cord that allow messages or impulses to travel back and forth between your brain and your body. It is often not one incident that causes a disc injury but rather a build-up of very minor damage such as poor posture, poor lifting habits, or any repetitive pressure being placed upon the disc. Once there is a build-up of micro trauma, something small such as picking up a pen off the floor can cause the final damage that causes a symptomatic disc injury. Most disc injuries will respond favourably to chiropractic care. This is because chiropractic not only addresses the symptoms, but also any other spinal restrictions that may be playing a part in the problem. Care for disc injuries at Sydney City Chiropractic generally includes specific muscle release, spinal adjustments and electrotherapy. Gradually, rehabilitation exercises will be given as the condition improves, involving stretches and strengthening in order to stabilise the condition. During car crashes, your body pushes deeply into your seat. Your head, momentarily isolated by your neck, delays its reaction while your body quickly reaches the limits of your seat. Then, your body instantly changes directions, moving forward to the limits of your seat belt. Now your head starts moving backward in the opposite direction! Unrestrained by a seat belt your head is jerked back and then forward beyond its normal limits. What happens in these few seconds can have tragic consequences. And what you do about it in the next hours, days and weeks can forever affect your health. Don’t neglect your own injuries because your car has sustained little or no damage. An immediate chiropractic examination is essential. Chiropractic can help because chiropractic care can assist in restoring proper motion and position of individual spinal bones. The chiropractors at Sydney City Chiropractic can help you get well and stay well after the trauma of a whiplash injury. Because headaches are so common, most people think that getting a headache is a normal part of life. This is simply not true. Headaches are a sign that something is wrong. Aspirin and medication may take the pain away from tension headaches, migraines and cluster headaches, but they do not correct the underlying cause. Chiropractic gets to the cause of the problem. Many people do not realise that most headaches start from an irritation of the nerves around the head and neck. Chiropractic care works directly on the site of pain to restore the normal functioning of the spine. 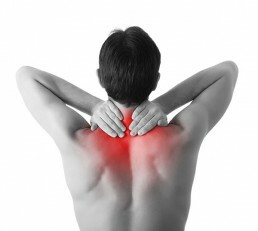 Using simple massage and adjustments, chiropractic can relieve headaches for good, without expensive or dangerous techniques. Chiropractic is a simple, non-intrusive, cost effective and most importantly a long-lasting form of headache relief that benefits all members of the family. 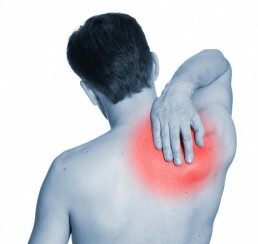 Referred pain is pain felt in an area that does not seem to have any relation to the problem. Referred pain is thought to occur due to the nerves from the tissue or organ where the problem is ‘mixing’ with the sensory nerves where the pain is felt. The pain felt with referred pain is usually deep and difficult to pinpoint where the exact location is. There are many conditions that involve referred pain. A very common example is headaches, in which pain is referred to the base of the skull, the top of the head, the forehead, or to the temples. The source of the problem with headaches is often the joints or muscles of the neck. Pain into the back of the leg can be due to referred pain and may be mistaken for sciatica. A more serious example is referred pain due to heart problems, with referral of pain often occurring into the shoulder or into the neck. The chiropractors at Sydney City Chiropractic are specially trained to locate the real source of pain and restore proper functioning to the area.